TULARE – Housing in Tulare County is one of the biggest problems facing the Valley’s economy. Economist Chris Thornberg says the lack of single-family home construction is concerning because it will mean higher overall prices for homebuyers. Fortunately, developments are beginning to pop up around the county. San Joaquin Valley Homes (SJV Homes) and Presidio Residential Capital is scheduled to break ground this month at Kensington — a new residential community offering 134 detached single-family houses priced from the low $200,000s. Kensington will offer 134 garden houses with three plans ranging from 1,297 – 1,597 square feet, all on lots averaging 6,000 square feet. The community will include a park and a pond. Located about one mile east of State Route 99, a major Central Valley transportation corridor that connects Fresno to the north and Bakersfield to the south, Kensington is on Cartmill Street immediately west of Mooney Boulevard, next to SJV Homes’ sister community called Brighton in Visalia. 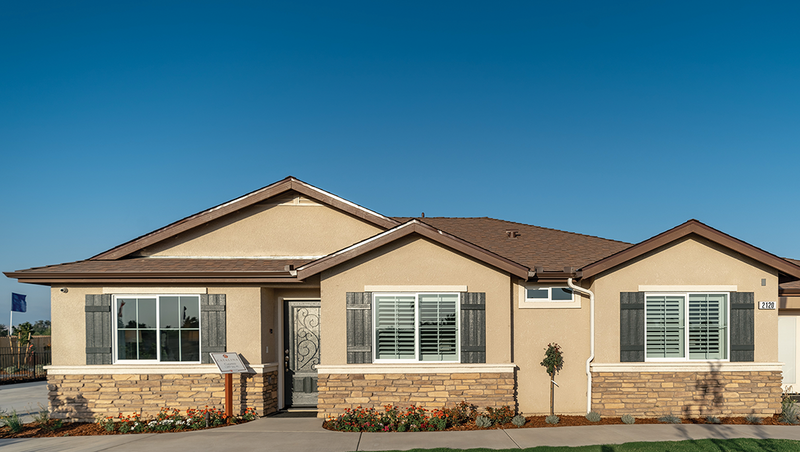 The community is a 45-minute commute from Lemoore Naval Air Station and south Fresno. This is a joint venture project with Presidio Residential Capital, a San Diego-based real estate investment company that funds 100 percent of the projects and operations of SJV Homes. To date, SJV Homes and Presidio have partnered on 22 projects totaling more than 2,475 units. According to the National Association of Home Builders’ formula to determine the local impact of single-family housing in typical metro areas, adding 134 single-family homes will generate $76 million in local income, $9.5 million in taxes and other revenue for local governments and 1,044 local jobs.